Cons Can’t use plugged in. SummaryFeature packed with 40 tweezers, the Remington EP7030 can be used in and out of the shower. The built in light illuminates the shortest hairs. While it works well on the legs and great on the face, performance is mixed on coarser type hair found on the underarms. The bulky caps make it difficult to remove short hair. 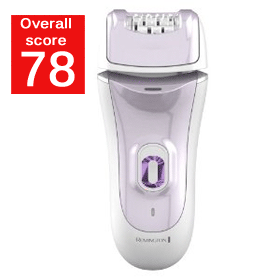 The Remington EP7030 Smooth and Silky Epilator is Remington’s newest epilator, replacing the previous EP6250. 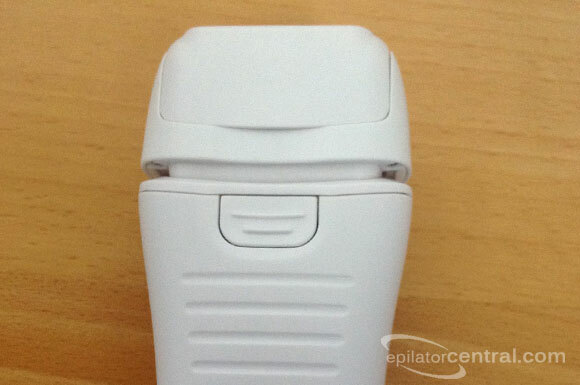 We were excited to review this epilator. With a mid range price, it includes most of the features included on higher priced models. With 40 tweezers, it is fully cordless, includes 2 speeds, and can be used wet or dry. It comes with 3 different hair removal caps for different areas of the body and hair types including a precision cap for the face and massage cap with aloe vera. Remington claims that the Remington EP7030 performs as well as the leading brand with its total coverage tweezer system that removes more hair in one pass. How well does it actually perform? Let’s find out in our hands on review. The box is very attractive and modern. Everything is packaged well which makes it difficult to remove the epilator without a box cutter. Along with the epilator, there are 3 different caps also included inside. The perfect angle cap already comes on the epilator. Inside the box, there is also a small cleaning brush and detailed instructions to use all the 3 attachments. There is also a pretty satin case to keep the epilator and all the accessories in. Though it’s a bit bulky, the Remington EP7030 is light and comfortable to hold. Though it’s a bit bulky, the Remington EP7030 is light and comfortable to hold. On the back there is an anti-slip grip that makes it easy to hold even in water. The head slightly nudges back and forth which is helpful on the curvier parts of the body like the knees. It is incredibly easy to use without too many complicated accessories. There are 3 different caps that cover the tweezer head for different uses. The caps are easy to remove and click into place. However, the caps are a little loose and can pop off easily if slight pressure is applied. As long as you are lightly gliding the epilator on the skin, the caps should stay in place. The Remington EP7030 has 40 stainless steel tweezers. Like the Braun Silk Epil 7, the Remington EP7030 has 40 stainless steel tweezers. The more tweezers an epilator has, the more hair it can remove at one time. This is a nice balance of tweezers. The tweezers are staggered to ensure maximum coverage. The Remington EP7030 is fully cordless. The battery lasts for around 40 minutes. The Remington EP7030 is fully cordless so you have the freedom to use it anywhere. It has no irritating cord to get in the way. You have to charge it before you can use it. Although our unit came fully charged, Remington suggests fully charging it for 4 hours before the first use. We found it seems to fully charge in 1 hour. To charge the epilator, you connect the cord to the epilator and plug it in. A green charge light indicator will light up on the front of the epilator. When the epilator is fully charged the light will go off. The battery lasts for around 40 minutes. When the battery is low, the battery indicator will light up red. At this time, you should recharge the epilator. Like all wet and dry models, as a safety feature, you can’t use the epilator when it is plugged in with the charging adapter. This epilator can only be used cordless. There are 2 speeds on the Remington EP7030. There are 2 speeds on the Remington EP7030. To turn on the epilator, you simply slide up the switch to the desired speed setting. The lower speed is recommended for fine hair and the higher speed is better suited for coarse hair. 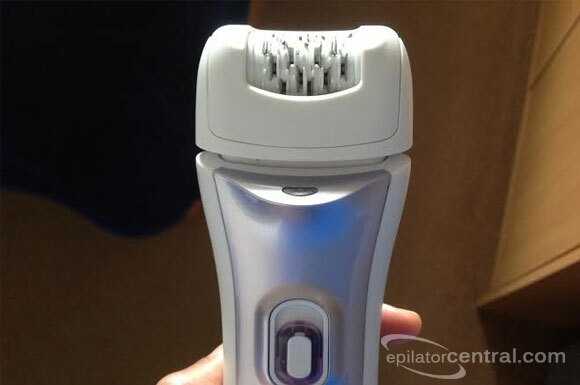 Out of all the epilators we tested, this epilator has the biggest difference between the 2 speed settings. 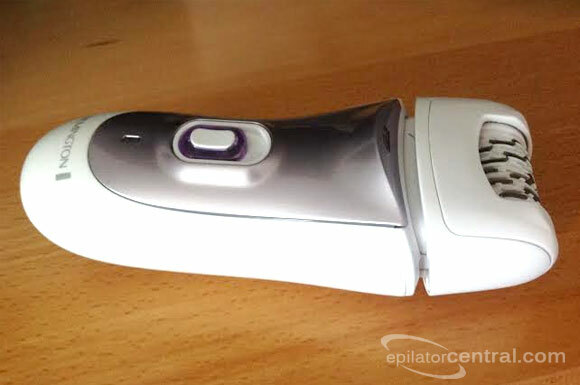 On its lowest setting, it is much slower than any other full sized epilator that we have tested. This slower speed makes it suitable for very fine hair and even delicate areas like the face. This epilator includes 3 different caps to cover the tweezer head. One of the design flaws with all the caps is that they are pretty loose. You have to be careful not to apply any pressure on the skin when epilating. Here is what we thought of them. The perfect angle is the most useful cap for epilating the legs. The perfect angle is the most useful cap for epilating the legs. 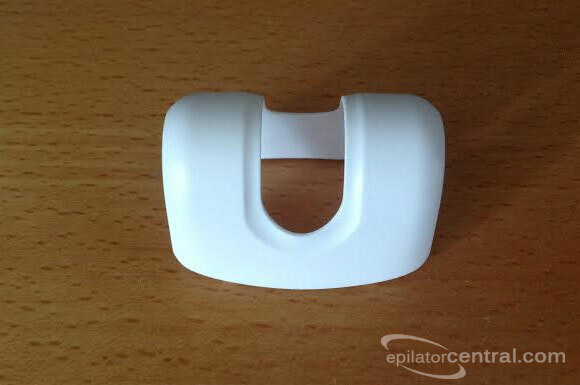 It is designed to keep the epilator at the optimal angle of 90 degrees when tweezing. The head pivots as you pass over the curves of the legs. While it was effective on longer hairs(1/4 of an inch), we found that this cap was a bit bulky and it was difficult to get shorter hairs with it. We didn’t feel this cap massaged skin or made epilation more comfortable. The massaging cap with aloe vera is supposed to soothe the skin as you epilate, making epilating less painful. The cap has little fingers on the end of it. We didn’t feel this cap massaged skin or made epilation more comfortable. If you suffer from dry skin or sensitive skin, this cap might help reduce the redness after epilating since it has aloe vera. Like the other caps, this cap was also pretty bulky. The precision cap is designed for smaller more detailed areas like the face. The precision cap is designed for smaller more detailed areas like the face. Provided hair is long enough, the precision cap works well on the face. If hair is long, we recommend trimming facial hair to 1/4 of an inch. It is also designed for more sensitive areas like the underarms and bikini line. However on those areas, this cap is pretty bulky and it is hard to get close to shorter hairs. The Remington EP7030 has a built in light to illuminate even the finest hairs. The Remington EP7030 has a built in light to illuminate even the finest hairs. This feature is on a lot of the newer epilators and it is hard to live with an epilator that doesn’t include a built in light. The light is invaluable but sometimes the light can look purplish because it reflects the color of the plastic. Due to the angle of the light, it can be just a touch ahead of the area you are working in. Still, it is handy to check if you missed any spots. The Remington Smooth & Silky Epilator can be used in and out of the shower. Since this is a wet and dry model, the Remington Smooth & Silky Epilator can be used in and out of the shower. Unlike other wet and dry epilators we have looked at, this particular epilator can’t be used in the bath as the epilator can’t be completely submerged under water. Using it in water helps to lessen some of the pain. This is great for beginners or if you haven’t epilated for some time. Epilating in the shower is not only convenient, it is nice to be able to rinse away the hair after you are done epilating. However, we found that wet epilation is not as effective as dry epilation since hair tends to stick to the skin. Sometimes because the epilator can’t grip hair properly, the hair ends up breaking instead of being plucked. Additionally, in the shower, it is hard to see if you removed all the hair. You might have to make an additional dry pass out of the shower for a smoother finish. Still, we like that it has the option to use it wet. At its top speed, the Remington Ep7030 measured 75 decibels. Epilators can be loud which can make them scary to use. The Remington EP7030 is a lot noisier on the higher speed setting. At its top speed, the Remington Ep7030 measured 75 decibels. On the lower speed setting, it measured 70 decibels. While it is loud, it is no louder than a man’s electric razor. The different attachments included allow you to use this epilator on every area of the body. It works best on the face and legs. The different attachments included allow you to use this epilator on every area of the body even to remove single hairs, though we think it works the best on the legs and face. When using it on the legs the flexible cap allows you to cover all the areas even the knees. Though it takes time and several passes, it leaves the legs smooth and silky. Epilating the face can be very uncomfortable, but epilating leaves the skin feeling unbelievably smooth. 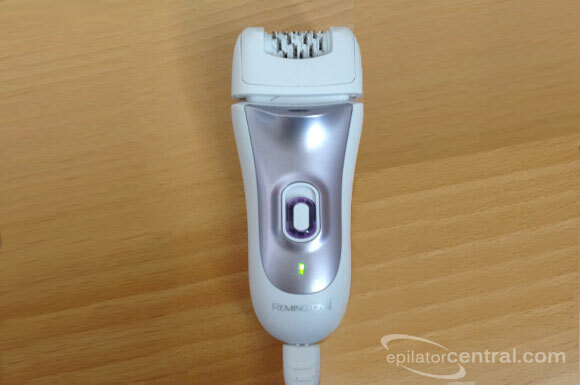 With its lower speed, the Remington EP7030 is one of the best epilators for the face. Other full size epilators really are too powerful to use on the delicate areas of the face. We like this one because its slowest speed is a lot slower than other full sized epilators. It is more effective than battery operated epilators on both fine and coarse hair on the face. 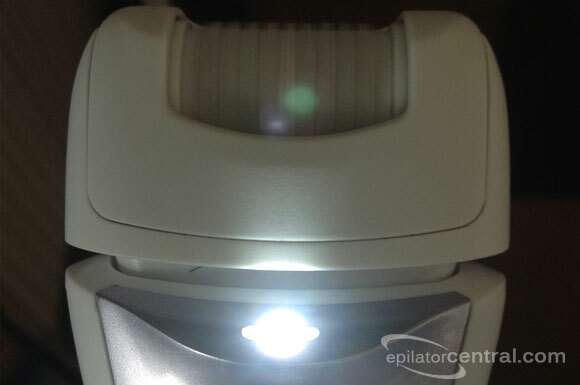 Though more powerful than battery operated facial epilators, the Remington EP7030 has a rather thick head. This can’t be used to epilate the eyebrows. However, it works well for the upper lip and chin though the upper lip is particularly sensitive to pain. Before epilating the hair on the face we recommend trimming it to 1/4 of an inch. Don’t try to grab hair that is shorter than that. Just go very slow and use light circular motions. Additionally, the precision head is supposed to allow you to epilate the underarms and bikini line. The instructions warn that these areas are particularly sensitive to pain at first. The pain can be breathtaking. After epilating the underarms, it is normal to experience a little redness and soreness. It is best to epilate a couple days before you need to show them off to allow the swelling to go down. When epilating the underarms, be sure to raise your arm so that the skin is tight. Since hair grows in multiple directions, it is easier to use circular motions to get all the hair. We didn’t find any of the caps included with this epilator to be effective on the underarms with 2 weeks of growth. All the caps were too bulky. 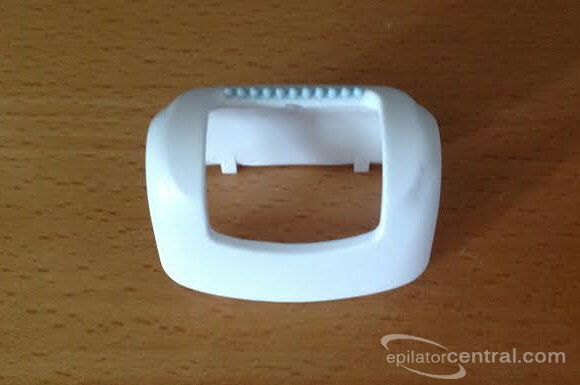 Due to the epilator’s size, we found it hard to move the epilator in a circular motion to pick up the hairs. Remington recommends using the precision cap on the underarms. Even with it, it is pretty bulky, making it hard to get close enough to smaller hairs despite repeated passes. With the precision cap, it can take forever. The massaging cap and perfect angle cap work better, but could be better. It might work better with longer hair, but the epilator is pretty bulky for this area. With the bulky design, it would be very hard to give yourself a brazilian with this epilator. We recommend trimming the bikini area with a good bikini trimmer instead. While its effective on the legs, it’s not on the underarms. Compared to the Braun Silk Epil 7, the surface area of the epilating head is smaller and the tweezers seem to be further apart. As a result, it is slower to use. Although the Remington EP7030 is pretty effective at removing hair on the legs, it can take a long time with several passes required for smooth results. For most areas, the perfect angle cap seems to work the best. The other caps really don’t allow you to epilate short hair. We found that using a swooping action starting at 45 degrees and making a short stroke up and away works best. The tweezers should barely touch the skin. While its effective on the legs, it’s not on the underarms. We didn’t find the Remington EP7030 particularly effective on areas with very coarse hair such as the underarms. It seems more suited for thinner and finer hair on the legs and face. Especially with coarser hair, we had to go over areas over and over to pluck hair. It can take numerous passes from several angles before hair is cleared. Because of the bulky head, it is difficult to remove short hair even after carefully going over the hair. None of the attachments really make a difference with the pain. Even the massaging cap made no difference. It hurts. Anytime you remove hair at the root, it can be painful. It is less painful when hair is short. Trim hair to about 1/4 of an inch. The underarms and bikini area are especially painful so it is best to do just a little bit at a time. It does tend to be more painful on bony areas like the ankles and shins. Everybody has different sensitive areas. It can be a little overwhelming when you start. When you get past the first few minutes, the skin tends to numb out and the pain is more bearable. The more you epilate, the more you get used to the pain. After epilating, it is normal to experience irritation on the skin in the form of little red and bumpy dots. This will usually calm down overnight. We found this epilator to be a little more painful than others. The tweezers can feel pretty rough on the skin leaving skin feeling grazed. It is very uncomfortable to remove coarse hair with it since it can take several times to pluck the hair. None of the attachments really make a difference with the pain. Even the massaging cap made no difference. For your protection there is a built in safety feature that causes the epilator to slow down or even stop when it is pressed too hard on the skin to keep it from pinching the skin. The Remington EP7030 is easy to clean as you can run the epilating head under the tap to remove hair. The Remington EP7030 is easy to clean as you can run the epilating head under the tap to remove hair. 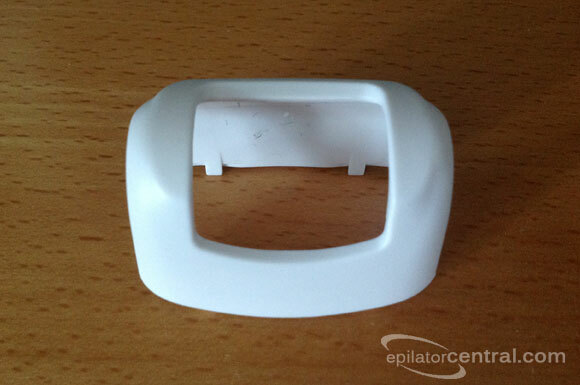 The epilating head can be removed by pressing the release button on the back. It comes with a little brush to remove the accumulated hairs in the epilator. After brushing it, the head can be rinsed under the tap. The body is not washable. After you are done, allow the caps and head to air dry completely. Alexandra Tunell of Allure likes the Remington Smooth & Silky EP7030. She’s Italian and blessed with dark coarse hair and sensitive skin. She liked it because it’s wet and dry and has a built in light. Gabby of Gahbreezy tried out the Remington Ep7030. She got it to use on her underarms because she suffers from dark armpits because of years of shaving. When she first got it she didn’t use it for 2 weeks because it was so loud. After trying it out, she found that it doesn’t remove all the hair in one pass. She had to find the right angle to remove the hair. She thought the cap got in the way and she finally took it off. She gave it a 3.0 out of 5. On Amazon, it is getting a 3.8 out of 5 with over 20 reviews. If you want a full body epilator that works good on the legs and great on the face, the Remington EP7030 is worth considering. The Remington EP7030 is feature packed with many features usually found on higher priced models. It can be used in and out of the shower and has a built in light to highlight the finest hairs. 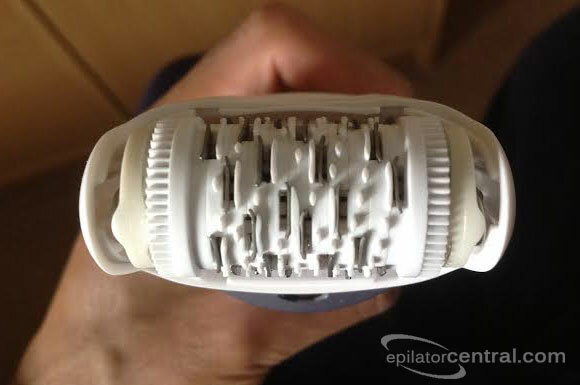 Unlike other epilators, there is a considerable difference between the two speed settings. Though a bit bulky, the Remington EP7030 works great on the face with the slower speed setting. While it leaves the legs feeling smooth and hair free, with coarser type hair like on the underarms, the results can be mixed. Because all of the attachments are pretty bulky, it can be difficult to grab shorter hairs. For best results, you do have to let your hair grow out to about 1/4 of an inch.